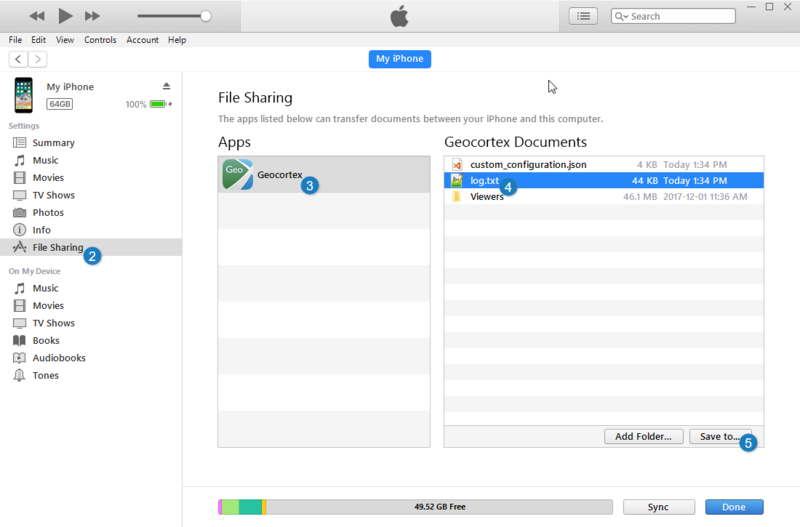 In the Geocortex Mobile App Framework for iOS, you can also enable debug logging through the iOS Settings for Geocortex. In the Geocortex Documents list, click log.txt . Navigate to a folder on your computer where you want to save the log file, and click Select Folder. The log file is saved to the folder you selected.